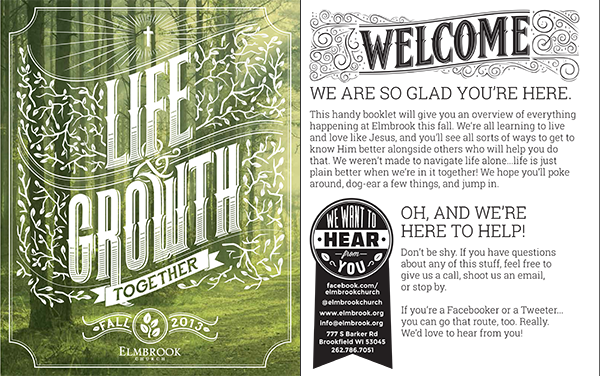 Elmbrook Church, a congregation of 5,500 in Brookfield, WI, would say they’ve always had a strong communication. The look was professional, but over the years, the strategy itself started to fray. The matrix, which is downloadable here, asks questions to determine how impactful an event or program might be. How many people will it reach? Is it geared towards visitors? Does it match what is being taught Sunday mornings? That helps determines how an event might be promoted. 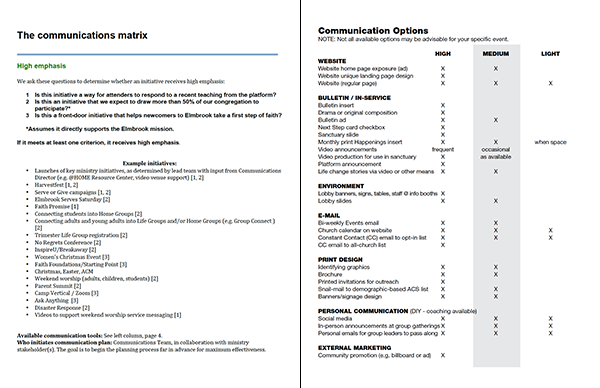 Additionally the guide lists all of the communication stream options and gives examples of where something might be promoted. Beyond the matrix, Elmbrook also replaced outdated folded brochures with a new catalog. The improvements didn’t stop there either. 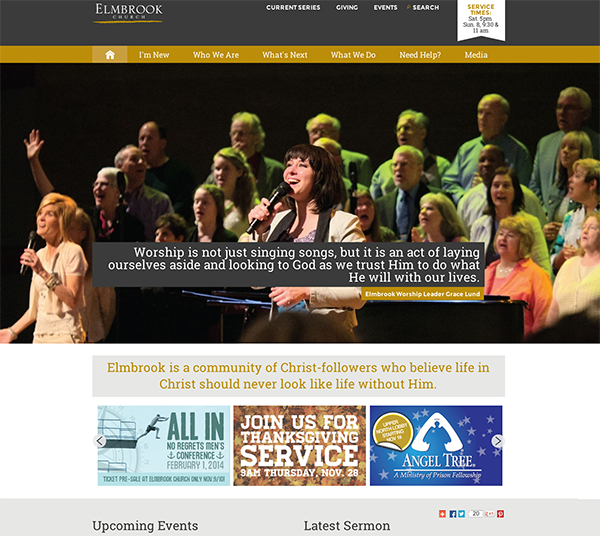 Elmbook also launched a new website to take the place of one that was patched together without a focus on visitors. “The new website reflects a user-first philosophy (founded on Ephesians 2:4-5), with a focus on connecting site visitors with the information they are seeking, in as few clicks as possible,” says Kubiak. Up next for Elmbrook is looking to develop an app and find other technologies to further reduce communication clutter. I couldn’t download the matrix. Is the link broken or does the file no longer exist? Hi guys, links don’t appear to be working at the moment! I just updates the links, so they should be working now. Sorry for the issues.